Boost your grainpower! Whole grains are an important part of a balanced diet, providing us with carbohydrates for energy and good thyroid metabolism plus minerals and B vitamins for overall health. Many people who find modern grain products difficult to digest can handle and enjoy grains when they are properly prepared. Proper preparation pre-digests gluten and starch as well as increasing mineral absorption. 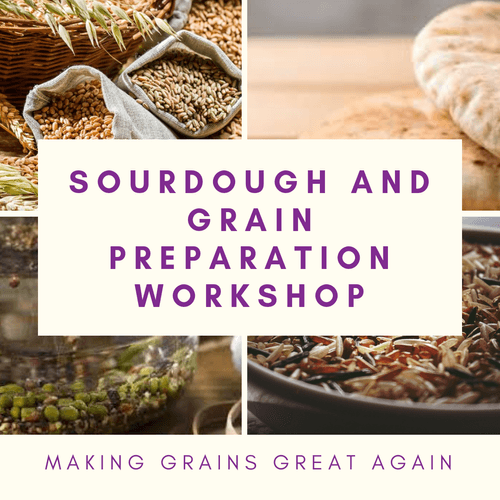 In this 3-hour hands-on workshop you will learn how easy it is to prepare and enjoy delicious, traditional grain-based foods to nourish yourself and your family.